Grand opening in August 2018, Universal’s Aventura Hotel will include 600 guest rooms and suites all boasting warm wood floors and a sleek, sophisticated design. Floor to ceiling windows will make the rooms feel bright and airy while giving guests incredible views of all three Universal Orlando theme parks. Voodoo Doughnut will open this spring at Universal CityWalk, Universal Orlando Resort’s entertainment and dining complex. Loved for its sinfully delicious, delightfully weird lineup of fried creations, Voodoo Doughnut will feature signature originals and one-of-a-kind delectables such as the Dirt Doughnut, the Memphis Mafia, the Bacon Maple Bar, Grape Ape and, of course, Voodoo Doll doughnuts. Fast & Furious is, of course, the name of a crazy-popular movie series. It also could describe the pace at which Universal’s theme parks in Florida and Hollywood are developing new attractions and expanding their offerings. 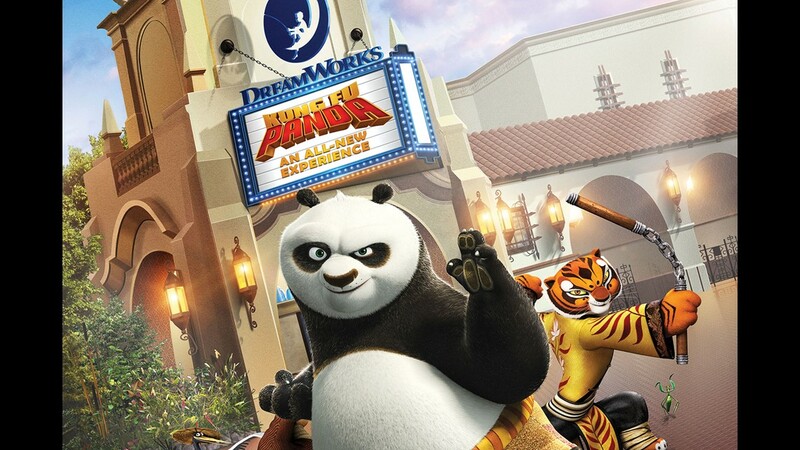 Case in point: This year, Universal Studios Hollywood will open a new Kung Fu Panda-themed theater presentation, while Universal Orlando will debut a new hotel and—wouldn’t you know it—a ride based on Fast & Furious. As with nearly all of Universal’s attractions, the new Florida ride, which is set to open in the spring, will be loud, thrilling, highly immersive, in-your-face, and, well, fast and furious. It will be similar to the Fast & Furious – Supercharged experience that is the finale of the Studio Tour at Universal Studios Hollywood. As in California, the Florida version will hijack a bunch of unwitting people (that’d be the park visitors) for a high-speed, F&F-style chase. How high-speed? We’re talking a tire-screeching, fishtailing, hyperventilating 120 mph—or at least the illusion of 120 mph. The seemingly turbocharged attraction will anchor ride vehicles to a motion simulator base and sync it to large-format footage projected onto a wraparound screen in what is known as an “immersion tunnel.” The vehicles won’t actually move forward an inch, but passengers are going to feel a wild rush of acceleration, speed, and out-of-control action. The Great LEGO Race will transform the existing "Project X" roller coaster at LEGOLAND Florida Resort into an exciting, high-octane experience that puts kids in the driver's seat and asks, "Are you brave enough to face, race and beat the best of the best in all of LEGO world?" Opening Spring 2018 at LEGOLAND Florida Resort in Winter Haven, Fla.
Like the Jimmy Fallon attraction that the Orlando resort debuted last year, F&F will scrap the typical queue and incorporate what Universal dubs its “Virtual Line” system. By using an app or the park’s kiosks, visitors will make a ride reservation. At the prescribed time, they will enter the attraction and explore the pre-ride area without snaking through a line. Guests will be able to get up-close with some of the actual souped-up cars from the movies and wander around a war room equipped with monitors, computers, and gadgetry. Located in the San Francisco section of Universal Studios Florida, the ride’s locale will shift from L.A. to the hilly city by the Bay. Virtually all of the movies’ major characters, including Vin Diesel’s Dom and Dwayne Johnson’ Hobbs will be represented. Tej, played by Chris “Ludacris” Bridges, and Jordana Brewster’s Mia will be added in to the mix in Orlando. The “Prime Value” hotel will offer features and amenities comparable to the nearby Cabana Bay Beach Resort. The 600-room, 17-story structure will be Universal’s first high-rise hotel. It will include a rooftop terrace with a bar and a restaurant offering tapas-inspired food. The terrace will offer striking aerial views of Hogwarts Castle, roller coasters, and other park sights as well as the Orlando skyline in the distance. (Universal would probably prefer that you ignore Cinderella Castle and the Tower of Terror from that other theme park resort.) The Aventura will incorporate in-room technology including bedside tablets that will be able to control the lights and television and even order room-service pizza. The “Aventura” name implies adventure and was inspired by its location on a street named Adventure Way, Dagon says. Also, Universal used to be one of the owners of the Spanish theme park resort, Port Aventura. The hotel will include 13 kids suites. Rates will start at $97 for standard rooms. As part of its fast and furious building boom, Universal and Loews are constructing two additional hotels on the former Wet ’n Wild property around the corner from the resort. The two as-yet unnamed “Value” hotels, which are set to open in 2019, will be a notch below the Aventura in amenities as well as price. They will offer a combined 2,800 rooms, about half of which will be two-bedroom suites designed to sleep up to six guests. While the new hotels won’t be contiguous to the Universal resort, they will be about as close to the theme parks as the on-property Cabana Bay. This spring, the CityWalk dining, shopping, and entertainment district will open Voodoo Doughnut, an outpost of the Portland-based purveyor of the deep-fried treats. The signature doughnut will be shaped like a voodoo doll and include a pretzel stake. Other oddball ingredients will include breakfast cereal, bacon, and “dirt” (crumbled Oreo cookies). Reflecting NBCUniversal’s acquisition of DreamWorks Animation, Universal Studios Hollywood is converting the former Shrek 4-D attraction into the DreamWorks Theatre. It will host of repertoire of mini movies based on DreamWorks franchises and characters starting with Kung Fu Panda- The Emperor’s Quest. Set to open in the summer, audiences will take a journey with the martial arts-savvy bear and face dragons, pirates, raging rapids, and other obstacles along the way. The screen-based attraction will be among the first to feature interior digital projection mapping, which should add dimension and make the visuals pop. To further immerse visitors into the story, their seats will move and be tricked out with pokers and other devices. They will also be bombarded with water, wind, and other effects. Outside the retro theater, Pinocchio (as featured in the “Shrek” films, not the classic Disney version) will be asleep on the job as a ticket seller. During D23 Expo 2017, Walt Disney Parks & Resorts Chairman Bob Chapek announced the summer 2018 opening of Toy Story Land at DisneyÕs Hollywood Studios at Walt Disney World Resort.